The Arab League is holding an emergency meeting on Sunday to deal with Saudi Arabia’s accusations Iran is stirring up trouble in the region and fighting a proxy war against the kingdom by providing arms and money to the Yemen-based Houthi rebels. According to the Saudi government, Iran’s actions threaten that country’s oil business, stability in the region and the globe. Almost no one in the American mainstream media is reporting on it. The Saudi complaints against Iran were triggered by two recent events — November 4, an Iranian manufactured missile fired at the capitol city of Riyadh from a Houthi controlled region of Yemen and the sabotage of a pipeline temporarily stopping the oil production vital to the Saudi economy. In addition to the tension between two of the most powerful nations in the region, there’s a historic shift happening inside the oil-rich kingdom of Saudi Arabia. Why American media should be paying attention to this story. 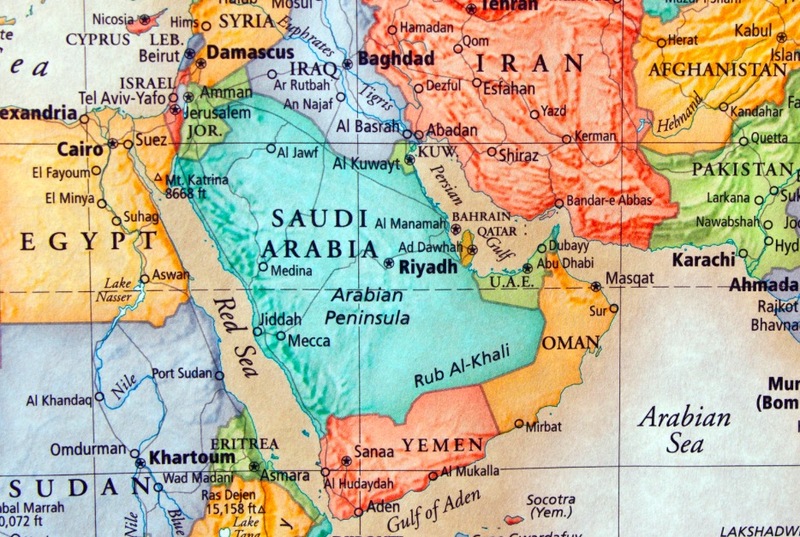 The important Saudi oil (which makes up about 11% of America’s petroleum imports), the kingdom’s location in the Middle East makes its stability key to the region and the planet. Just a month shy of turning eighty-two years old, Saudi King Salman is reportedly set to step aside and elevate the Crown Prince, his 32-year-old son, Mohammad bin Salman (MBS) to replace him on the throne. With seventy percent of the population of Saudi Arabia under the age of thirty, installing a younger man as king likely sends a positive message to the people of the Saudi Kingdom. The news of this coming shift at the top of the Saudi leadership follows recent moves by the MBS to consolidate his own power and deal with the reported rampant corruption among members of the royal family. Just two weeks ago, bin Salam ordered more than forty princes and government officials to be rounded up and placed under “house arrest” at the Four Season hotel in Riyadh. The anti-corruption round-up and freezing of hundreds of billions of dollars in assets attached to the detainees should have sent shockwaves through the financial markets as one of the world’s richest men, Prince Alwaleed bin Talal is among those being detained. Prince Alwaleed’s fortune is estimated to be somewhere between 18-20 billion dollars and includes significant holdings in Twitter, Apple and Citibank. On Friday, Mike Opelka talked with author Gerald Posner about the Saudi story, the peace plan being pushed President Trump’s son-in-law Jared Kushner and the virtual news blackout by the American media on all of these stories.